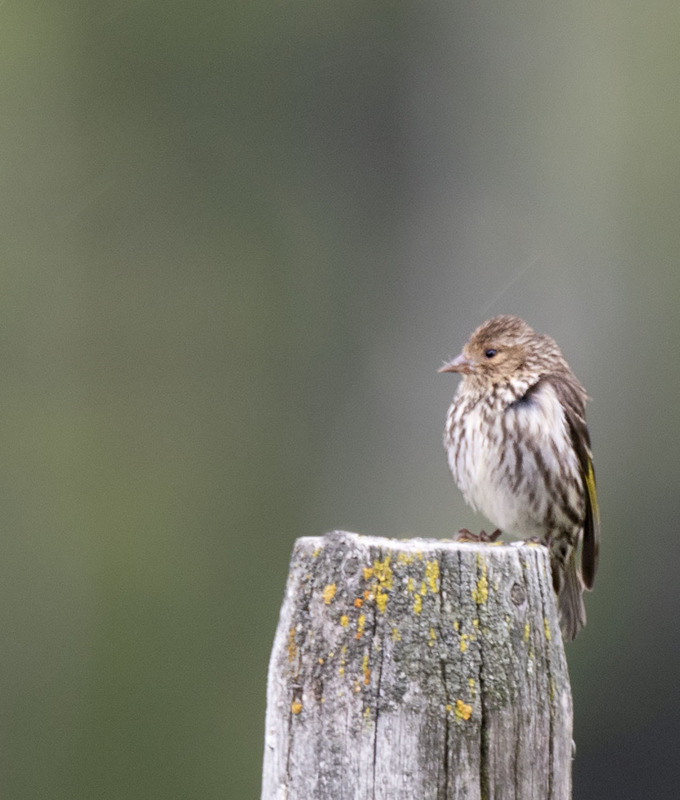 On a rainy afternoon we watched a flock of Pine Siskins hanging out along a ranch fence line in the light drizzle. 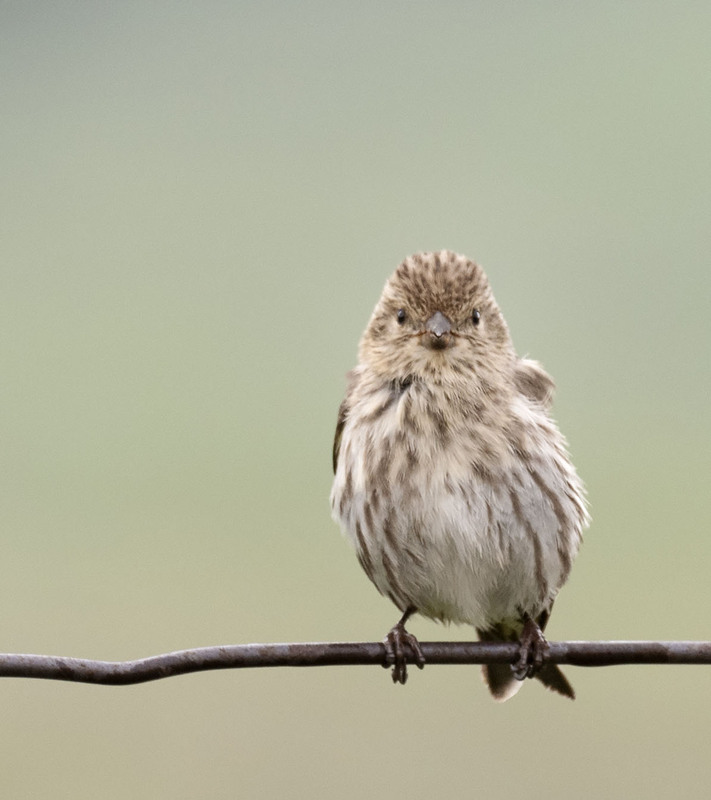 When they show up in large flocks to backyard feeders or your local forest it may not be apparent but Pine Siskins are a Common Bird in Steep Decline. 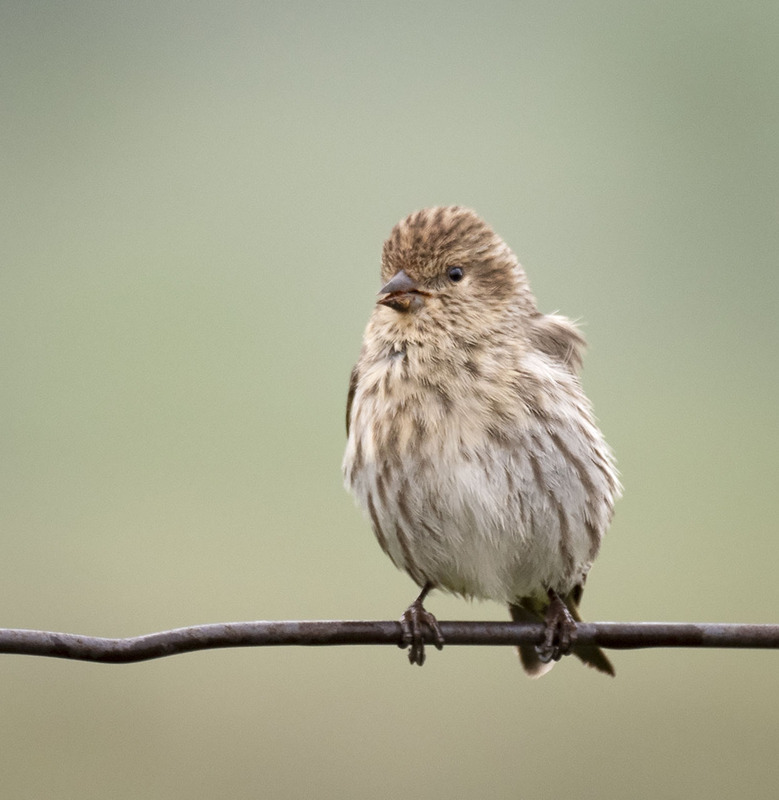 Pesticides, loss of habitat and predation from domestic cats, red squirrels, hawks, jays, and crows are all contributing factors to the decline of this species. 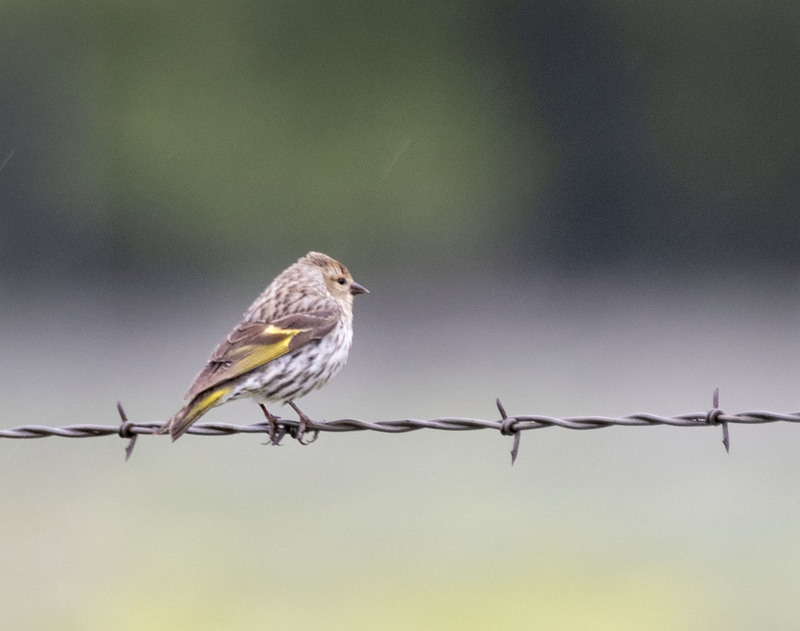 Since we typically hear them buzzing in the tree tops of pine forests seeing them lined up individually along the barbed wire on a quiet rainy day gave us a chance to know each on as a individual so to speak and it was nice to get to know them. A wonderful little forest bird. Wonderful shots Mike! A shame to learn that they’re on the decline. HI Belinda, and yes it is a shame. It is always hard for me to hear of this and especially given that all most life is in decline. 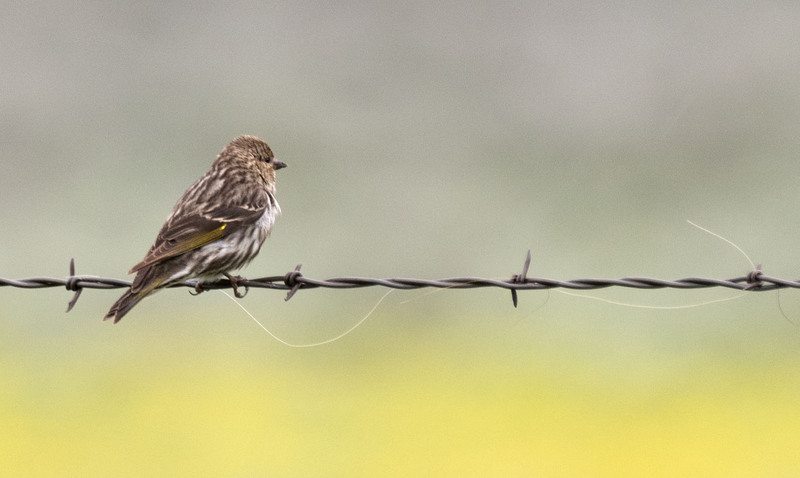 When we classify bird population as stable yet they have declined 70% or more from historical number it seems to do paint a grim picture for the future. I love siskins and only see them in winter, often blended in a flock of goldfinches. Sweet series, Mike. My favorite is the second shot with the lower, yellow background with a horse hair caught in the barbed wire. A quiet, peaceful scene. Hi Eliza, earlier in the summer we had a very large group hanging around and boy did they make a racket, a pleasant racket. It was nice to see this group down low and just hanging out on a very quiet country road. Hi and thanks for passing along the post, we do appreciate you sharing it. Hope your day is going well and wishing you a fine week.